1. How far do you travel to do projects? 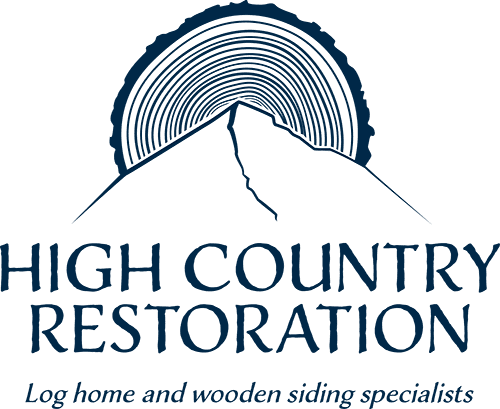 High Country Restoration is proud to serve all of Montana! Depending on the level of service needed, our team is happy to travel throughout the Bozeman, Big Sky, West Yellowstone, Ennis and Gallatin Gateway radius. Please contact us with any inquiries and we’d be happy to accommodate you. 2. Is corn or media blasting harmful to the surface of my log home? When done properly, media blasting with corncob husks or glass beads does not damage the surface of logs. Our experienced team is skilled at removing old finish, mold, and discoloration without eating into the logs, leaving a fresh surface on which to apply a coat of stain and sealant. For more detail on this process, visit our Media Blasting page. 3. How often should I have my log home cleaned? Annual inspections are crucial to identifying areas that have been adversely effected by weather, excessive water run-off or pests. Pay careful attention to log corners where exposure to rain and snow/ice can start weakening the surface and begin to allow rot or pests to enter. Dry logs are healthy logs! We recommend a SoftWash at least every two years along with a stain, chink and caulk touch up where is it needed. In some cases, your home may require an annual cleaning due to excessive weather exposure and age. Check our Maintenance page for more details on the SoftWash cleaning and see the results of our work. 4. If I need to replace rotted sections of my home, how can I be sure they match the original logs? Don’t worry — this is a common concern with older log homes. We have been crafting replacement logs for years and are successful in blending them into the existing home. While in some cases we purchase logs that match, in others we hand-craft the logs ourselves, identifying the species and carefully shaping them to match the style and profile of the remaining logs. We then re-stain the entire section. Look at our Rot Repair page for more detail and pictures of our work. Our clients have always been pleased with our work. 5. How do I protect my home from insects? To protect it from insects, your home needs to be sealed with a high quality stain, have chinking and caulking in good shape, be kept it free from mold and mildew, and have adequate airflow around the exterior of the home. If all of these conditions are in place, you are well-armed against pests. Carpenter ants and wood beetles need soft wood to allow them to take up residence. If logs get too wet, too dry, or become “punky” then insects are not far behind. An annual inspection and proper maintenance will avoid many of these situations. When we media blast a home and remove the surface finish, we apply a treatment of Borate (Disodium Octaborate Tetrathydrate), an environmentally-safe preservative, to the entire log surface to protect them from a wide spectrum of pests. 6. Are there environmental issues associated with media blasting my home? No. Both corncob and glass bead blasting mediums present no dangers to humans or vegetation. Blasting is much safer than using harsh, highly-toxic stripping chemicals employed by some to remove the surface stain on a log home. Those chemicals, combined with pressurized water, can cause problems by injecting water into the logs and allowing harmful chemicals to seep into the ground around your home. Be aware of companies that promote chemical stripping as a cheap alternative.